This new addition to the range is a must have product for any large or small stillwater boat angler, supremely light weight with a super long reach for fish at a distance to the boat. The adjust and lock carbon handle extends from 1.3m to 2.4m featuring easy grip EVA sections for use in the boat with wet hands. 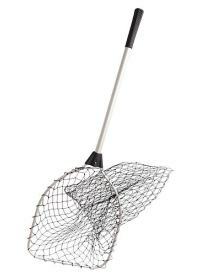 The super large net head has a diameter of 56cm [22 inches] so it is capable of safely capturing even the largest trout and features rubber-mesh throughout. This helps contribute to the lightweight design, as well as preventing dropper hooks from snagging when netting fish and helps limit the spread of disease between fisheries.  Super large 56cm/22in diameter net head.  Self-Adjustable from 1.3m to 2.4m.  Superb netting at distance.  Full rubber net mesh.  Limits spread of diseases.  Anodised aluminium net ring.  Easy-grip EVA hand grips. 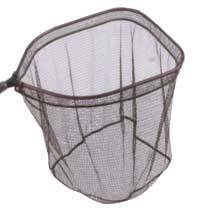 An all-round net for both boat and bank fishing. Strong lightweight and large enough to cope with double-figure fish. The extendable lock-in pole gives a number of advantages. Long enough for boat fishing, but still easily transported around a reservoir lake. Diameter 54cm. This no-nonsense rugged Jarvis Walker Telescopic Retractable Saltwater Boat Net as a heavy duty aluminium frame and handle and a deep 90cm knotted heavy guage net ideal for most types of offshore boat fishing. These Boat and Bank Net comes with an attractive "champagne" anodized rustproof aluminium handle and features a large, well proportioned fixed head fitted with its fish-friendly netting. Ideal for bank fishing in reservoirs and all forms of boat fishing. 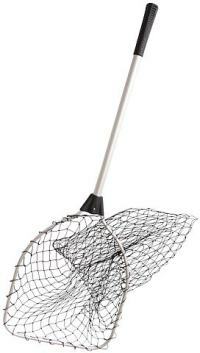 Snowbee's top-selling 3-in-1 Hand Trout Net and Boat Landing Net both use of the latest generation of Rubber Mesh. 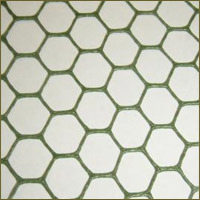 The fine, hexagonal mesh has a rubber coating, which prevents it from absorbing water, so not only does it prevent the net from smelling of fish, but it completely dries, with just one shake. The rubber coating also prevents hook barbs catching in the mesh, which can be so annoying when you net a fish. 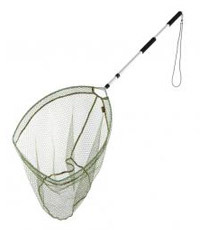 A popular design of landing net for the boat angler. The teardrop shaped frame has a flat front section, to slide quickly under the fish to minimise fish lost at the net. The D-section aluminium is lightweight but remarkably rigid and strong, which together with the die-cast Y-piece, joining the frame to the handle. 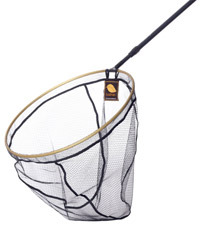 Abu Lightweight landing net for smaller sea fish at an economic price.